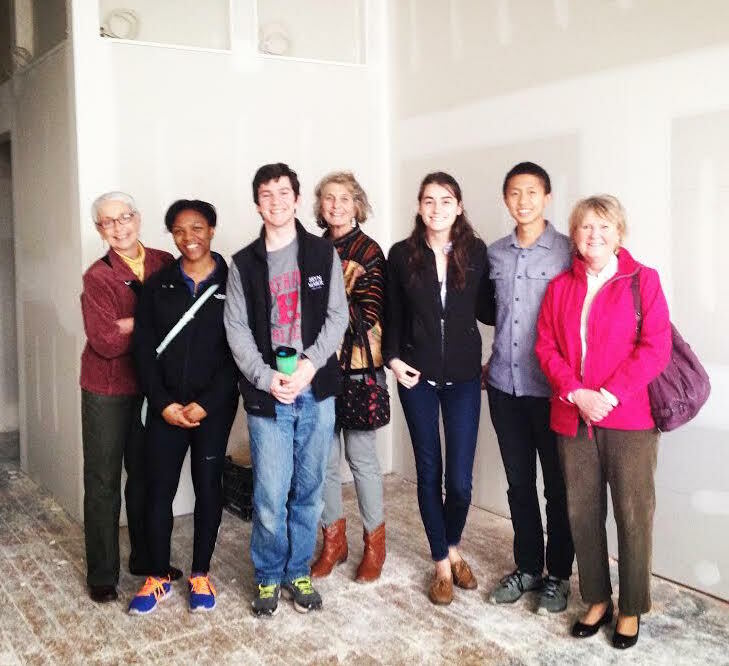 Haverford staff and students visited the Center for Hunger-Free Communities as part of the Community Engagement Day held on March 18, 2016. The Center for Hunger-Free Communities, established in 2004, is a community-engaged research, service, advocacy and policy center of Drexel University Dornsife School of Public Health in Philadelphia, PA. The Center for Hunger-Free Communities offers the same multi-faceted research and action that has characterized the work on hunger and poverty at Drexel with the goal of developing innovative, empirically-tested solutions to the challenges of hunger and economic insecurity. We were met by Callie Perrone and Whitney, a young woman who has been part of the center's work since 2008. We learned the organization is currently undergoing assessment. The staff and various volunteers are holding focus groups in the hope of formulating new directions for grassroots work in addition to the policy work already in place. The Eat Cafe (Everyone at the Table) Cafe will open soon on Lancaster Avenue.